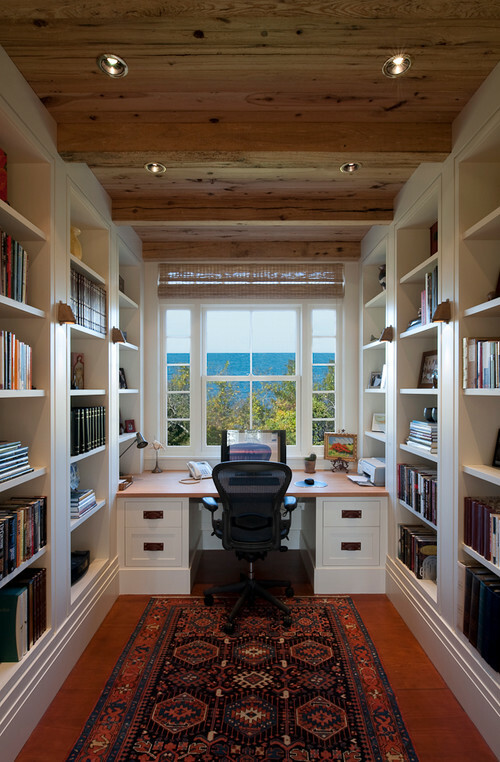 I’ve always been dreaming of working at home… in a pretty home office. But that is not possible at the moment as there are other things that must be prioritized right now. However, I am hopeful that I’d be able to reach this dream in a couple or so years… provided that no baby gets in the way. As early as now, however, I have already started gathering inspiration for me to keep working (and saving!) to realize this dream. Notice the common denominator? Yes, large windows! I have this thing for large windows thus it is a very important criteria when it comes to my home office. Large windows mean more natural light and more air. In other words, I would be able to save on electricity as I never have to turn on the light or electric fan throughout the day. Additionally, it would be easy for me to take my eyes off my computer monitor and give them time to rest especially if there’s a nice view outside the window. Another commonality among the pictures is the space. I don’t fancy wide home office. 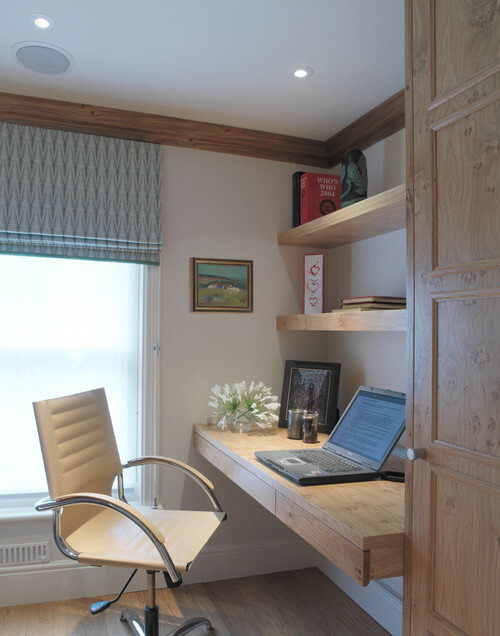 I am okay with a small area as long as it is well-organized, quiet and ideal for working. Another must-have for my dream home office is a lovely desk or table. I love those with lots of drawers and divisions so that I will be able to maximize space and storage. I am not specific on the color scheme. I just want the area to be light, easy on the eyes yet not boring. While my specifications are simple, it won't hurt to have this haven below, right? 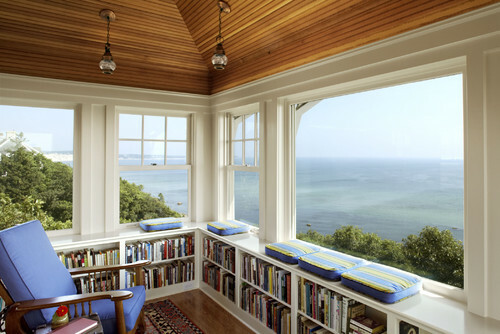 Traditional Home Office by Boston Architects & Designers Albert, Righter & Tittmann Architects, Inc.